China has sent warplanes for joint exercise with warships in the Western Pacific Ocean a day after Taiwan deployed advanced anti-aircraft missiles and promised to ramp up military patrols to counter China’s growing military capabilities. The drill on Thursday involved fighters, bombers and an early-warning aircraft, which the Chinese military flew east across the Miyako Strait to join Chinese warships in the Philippine Sea. 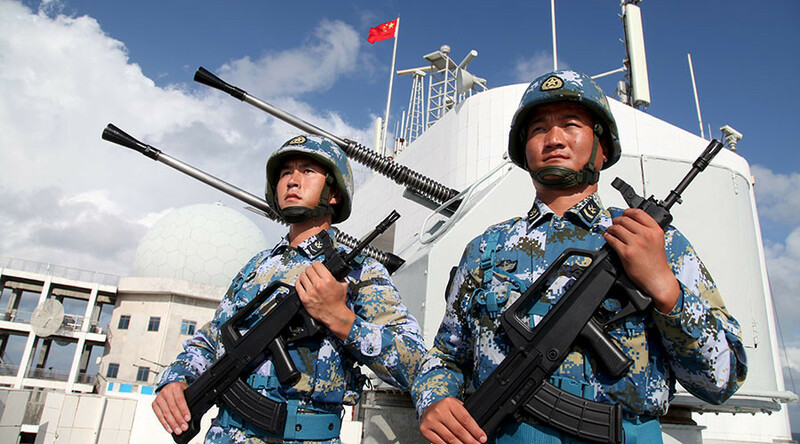 “This exercise is part of annual plans for the navy, is not aimed at a specific country or target, and accords with relevant international laws and norms,” the Chinese news agency Xinhua said in a report. Taiwan's Defense Ministry said it monitored the drills, which took place outside Taiwan's Air Defense Identification Zone. The Miyako Strait is of strategic importance for the Chinese military, allowing its assets to cross through the Ryukyu Islands, a chain connecting Japan in the northeast and Taiwan in the southwest. The traffic is of most concern for Japan, since it goes between two Japanese islands, Okinawa and Miyako. But Taipei is also keeping an eye on Chinese Pacific deployments. 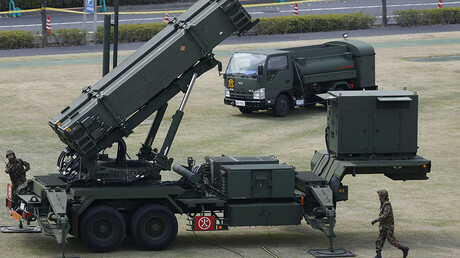 On Wednesday, Taiwan’s Defense Ministry reported deploying US-made Patriot surface-to-air missiles on the island’s eastern coast. The batteries have reportedly been redeployed from more populous areas near the cities of Taipei, Taichung, and Kaohsiung and are meant to protect the Taiwan from a potential aerial attack from the Pacific. 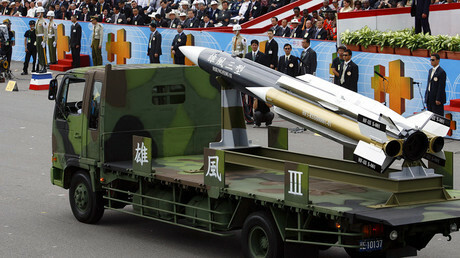 Defense Minister Feng Shih-kuan pledged to ramp up the island’s military in response to the Chinese build-up. “Looking ahead at the transformation of China's strategy and its investment in new weapons equipment, our military will practice new reforms in our training,” he told a parliamentary session. China’s relations with Taiwan soured last year after Tsai Ing-wen, a vocal advocate of Taiwanese independence, had been elected as the new president. Taiwan broke away from China after a civil war, but for decades both sides considered China and Taiwan a single nation rather than two separate entities. The issue sparked conflict between Beijing and Washington in December 2016, when then-President-elect Trump spoke with Tsai on the phone, putting into question his commitment to the one China policy that his predecessors maintained. The spat over military deployments comes days after people in Taiwan marked the anniversary of so-called February 28 Incident, the 1947 public uprising against the Republic of China government. The event, which claimed tens of thousands of lives in Taiwan, is considered pivotal for supporters of the island’s independence.